Obsidian Roofing is proud to release the roofing industry’s first online cost estimation tool. This tool will allow domestic customers to get an estimate of cost without having to wait for an estimator to come make an assessment. For decades, this type of tool has been non-existent in the roofing industry. There are two main reasons why a simple quotation tool has not been available. Firstly, there are Direct Cost Variations, and secondly, the industry’s use of concealed and discretionary pricing directly interferes with the customer’s access to transparent prices. In this article, we’ll cover these reasons and what advantages a transparent pricing tool will bring for the consumer. If you would like to try this tool out, please go to our Online Estimate page. There are legitimate reasons to why this type of tool has been hard to develop for the industry. These are mainly to do with the multiple factors that affect the difficulty of doing roofing work. Some of these include, roof height, roof pitch, accessibility, roof material and inclement weather. Most of these reasons, such as roof height, roof pitch and accessibility, are to do with providing safe work conditions for the workers doing the job. When the roof is higher, the pitch is greater and the accessibility is more difficult, the price of the job will generally be higher. A flat roof will be less expensive than a high-pitched roof because the safety requirements for a flat roof are less onerous than that of a high-pitched roof. Other reasons, such as roof material and weather, affect the overall risk profile of the project. These are financial risks the company providing the works must take on to complete the job. For example, in winter or in a more rain prone area, the price of the job is generally higher because rain, at best delays work and at worst ruins work, which may need to be redone. For roofs with older roof tiles, the estimator must also assess how likely workers will break additional tiles while doing their work, the more brittle the tiles, the more likely breaks will occur. All the reasons discussed so far are challenges an estimator must face when providing the consumer with a final quotation. It takes many years of experience for an estimator to accurately assess different types of roofs and most of these estimators have worked as tradesmen at some point during their careers. There are reasons where a company or individual can deliberately conceal pricing information to the public as part of a sales strategy, designed to make customers pay more. This type of strategy refers to a classic covert vs overt pricing strategy. Covert pricing has been around for a long time and refers to where the prices of products or services are not openly declared by the seller. This was common many decades ago in Australia and is still common in a lot of lower-social economic countries around the world. Overt pricing is of course the opposite where the seller openly displays their prices, which we would see in stores like Bunnings, Coles, Woolworths, etc. The advantage of overt pricing is obvious to the consumer. It allows the consumer to compare different products and immediately assess whether the displayed price is what they’re willing to pay. It is also more efficient for the market, as there is no need for someone to inform the consumer of the price. The disadvantage of overt pricing is mainly for the seller, as their prices are now known to the public and allows their competitors to potentially undercut them. The advantages of covert pricing have been demonstrated to allow the seller to command a higher price. This is known as price discrimination, which is the ability for the seller to sell the same product or service to different consumers at different prices. But if we try to understand it from the seller’s point of view, then we can begin to understand why this has occurred for so long. The cost of providing a quotation to a consumer in the roofing industry is surprisingly high. The roofing company is required to pay for the advertising, have an estimator to drive out to a site, perform the assessment and then draft up a quotation. The whole process is about 4 hours work and there is no guarantee for the seller to win that work. This may be repeated 3 – 5 times before a customer accepts one of their quotations. Therefore, the total cost in time for the estimator is between 12 to 20 hours per sale. That is a lot of time! Having a transparent cost estimation tool will allow the consumer to bypass these underhanded tactics and provide surety of mind that they are getting a fair deal. The release of the price estimation tool is a game changer for the industry. It allows the cost of estimation to be lower for both the consumer and service provider. It will also allow consumers to shop around for different options without having to consult an estimator on a constant basis. In our experience, most customers when considering getting roofing work done must wade through a mountain of information with all types of different options and add-ons. Should I get a restoration? Or am I better off getting a roof replacement? Do I need new gutters as well? What about those rotting fascias and gables, should I get them done too? Facing these options without a price tag causes making an informative choice for the consumer extremely difficult. In traditional circumstances, these decisions are made in discussion with an estimator, who may or may not at the time be applying high-pressure selling techniques, making things even more challenging. To make things worse, the roofing industry is divided into two trades: roof tiling and roof plumbing. Tilers perform work on tile roofs while roof plumbers perform works for metal roofs and all gutters, downpipes, fascia and gable conversions. The clear majority of roofing companies in the market provide only one of these trades. So when a customer is comparing quotes between companies, it makes comparisons of the same service difficult. When speaking to most of our customers, the feedback has always been that the process is difficult, especially if they’re requiring works from both roof tilers and roof plumbers. It’s no secret these days that most consumers will ask for 3 independent quotes to ensure that they’re getting a competitive price. However, due to the range of options and add-ons compounded with some companies only being able to offer part of the services each, it makes the decision process difficult and time consuming. The main advantage of having a transparent Online Estimation Tool is that it allows the average consumer to weigh up all their options in their own time without any pressure. When the buyer is ready, they can submit their selections for review and they will be contacted to finalise their selections, saving everyone time and effort. You might be wondering, if the process is so complex, how did this tool get developed? Fortunately, one of the directors at Obsidian Roofing, myself, Dr. Tony Shao, is a data scientist. I did a PhD in particle physics at the University of Melbourne and I’m an expert in multivariate data analysis. When going through all the quotations of our business, I related the pricing to several variables of each house and found that the cost of the works was mostly caused by a few key factors. These are the factors that are on the tool, which are used as inputs. Combining these key factors will produce an indicative price as a starting point for the cost estimation tool. All the other smaller factors that have been described so far in this article affect the price only by a small amount. This amount, for most cases, was found to fluctuate between 20% around the initial indicative price. To confirm this last 20% of the pricing, an estimator reviews the case, which can be done either via satellite imagery or by visiting the customer’s premise. This has been a long article, longer than what I originally wanted, but I hope that it was informative for all those reading it. To summarise, here are the key points:Cost estimation for roofing companies is difficult and highly variable, which means estimators spend a lot of time just performing quotes. This leads to a lot of lost time, which is eventually passed onto the customer through higher prices and price discrimination. The development of the Online Estimation Tool allows customers to understand exactly what they want without having to discuss with an estimator, saving time and hassle for both parties. The more efficient quotation process will allow prices to be more competitive for the consumer. 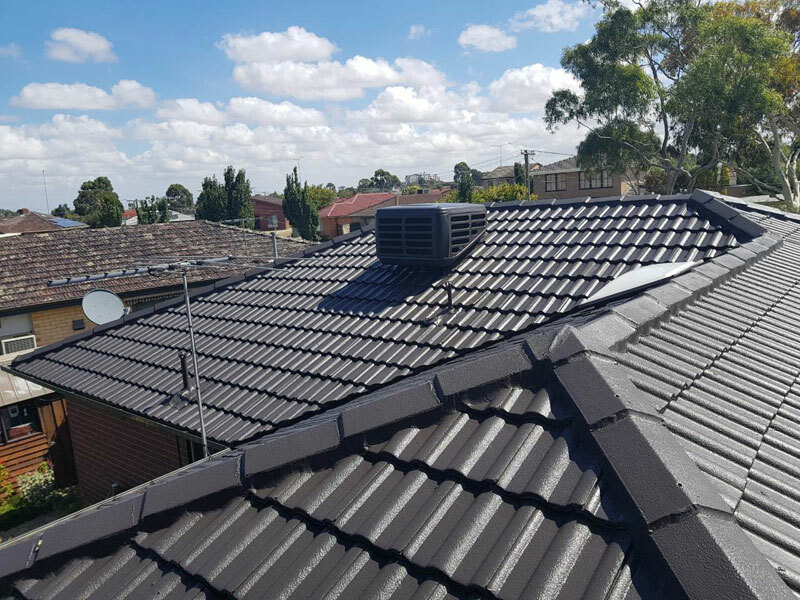 If you’re looking to get any roofing work done, then please visit www.obsidianroofing.com.au/quotation/live-estimate to use this tool.